The South China Morning Post, a renowned Hong Kong based English-language newspaper and Hong Kong's newspaper of record, recently featured an article of the interview with our CEO Mr. Jack Yen. 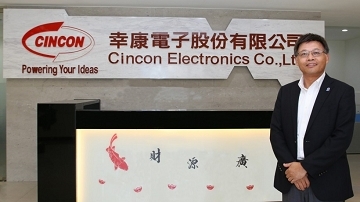 In the interview, Jack introduced our company Cincon to the world, our product portfolio and capability, and later elaborated on Cincon expertise in offering customized power conversion products engineered to customer requirements. Finally, Jack talks about the major fields and applications that Cincon power products thrives in, and the future goals and markets that we are targeting. Come read the full article here!